Sometimes when I try your tips that run from a command prompt, it says I don’t have administrator rights or something like that to run that command. How do I fix that? I appreciate all your great tips. I just wish I could run these kind! We know what you mean. We hate it when we’re trying to perform a task in Windows 7 or Vista that requires you to run a Windows program that requires you to use an elevated command prompt. If you don’t run an elevated command prompt you get the message that you “must be an administrator” to run it. 2. Type cmd; press Ctrl+Shift+Enter; and then hit ALT+C to confirm the elevation prompt. In the search bar at the bottom of the start menu, type COMMAND and press Enter. Command prompt will appear at the top of the menu. Right click it an choose “Run as administrator”. Here’s another tip. You can change the command prompt window’s background color and text color by typing f1 at the prompt. F1 will turn the background white and the text color dark blue. You can use f4 if you prefer red text – or you can play around with the number after f to give you different colors of text. For instance color f9 gives you a white background with medium blue text. So you don’t have to be stuck looking at a plain, old black and white DOS prompt window. All Cloudeight Subscribers save $20 off the regular price of Captain Optimizer! We thought so highly of this program and found it so useful, we made a deal with the program’s developer so we could pass those savings on to you. And right now, you can save $20.00 off this fantastic program– our software program of 2010. This discount is available only to our subscribers and only when purchased from our Captain Optimizer page. CaptainOptimizer works on Windows XP, Windows Vista, and Windows 7 – both 32bit and 64bit versions. Get more information or get CaptainOptimizer now and save $20.00. CaptainOptimizer comes with a 60-day money-back satisfaction guarantee. Get more information, read our review, or get Captain Optimizer now and save $20.00. Only available to Cloudeight Subscribers! Captain Optimizer is our New Software Program of the Year for 2010! It’s recommended, endorsed and used by us! Get your copy today and save $20.00 off the regular retail price. Comes with a 60-day money-back guarantee! 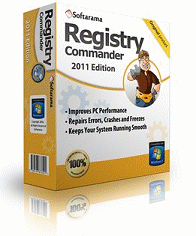 Get yours now and make your computer run better and faster!